Det är dags för en bloggrunda hos Robyns fetish challege blog och välkomna hit, helt kort ska ni hälsa på alla oss på listan och lämna kommentarer och bli följare av bloggarna för att vara med och tävla om de fina priserna. Du kan hälsa på hos oss mellan den 15-19 oktober 2012 så sätt igång! ROBYN’S FETISH CHALLENGE NEW FALL IMAGES BLOG HOP. You should have arrived here from AMANDA:s blog. On October 19, there will be a post on the challenge blog and all of the winners will be announced. The digi stamp are colored with Spectrum Noir pens in light colors and glued on a brown patterned patter and then glued to the checked paper. The emellishments are a paper clip and a heart shaped brad and a small tag with the text ”eggs for you” stamped on. 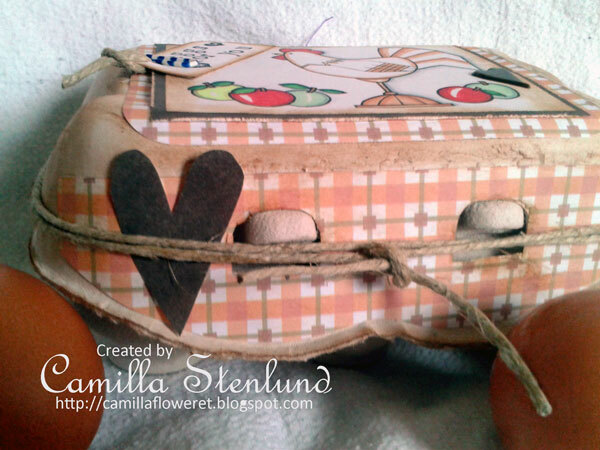 On the front side of the egg carton I have cut out a heart in pattered paper from Creative Imaginations and attached it to the carton with a piece of string. It is fun and easy to make small gifts to friends with food in it, love to get them and love to give them away. We all need sweets (well perhaps not need but hey you get what I mean) and jam and other stuff wich are easy to transform to fun gifts. Thank you for visiting and I am happy to see that you are joining our hop! Once the hop is over, the new Fall digital stamps we are show casing in the hop will be in the RF store and available for sale. Do not miss it! great project love the colouring! I love the way you have colored this image! I’m going to have to look into those markers! The colors are so sharp and vibrant! Great idea, I really like how it turns. Thanks for sharing, and welcome to the team. Am a follower of your blog. Oh I just love that project you made for your neighbor! 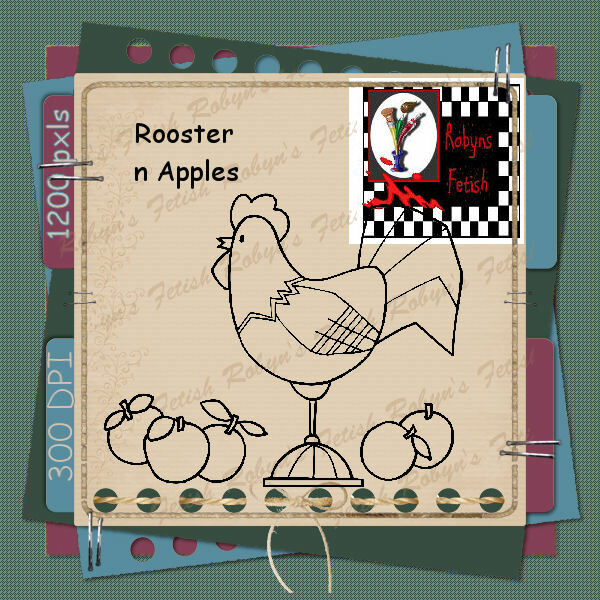 How clever, and that digi stamp is very cute colored up! I signed up to be a follower! What a great egg carton. Very cute project, really love it. Image is perfect for this, and your coloring is beautiful. Wow, this is fantastic. TFS. I love your coloring. and the project is magnifcent. So country and homey. I like your rooster too. I am a follower. 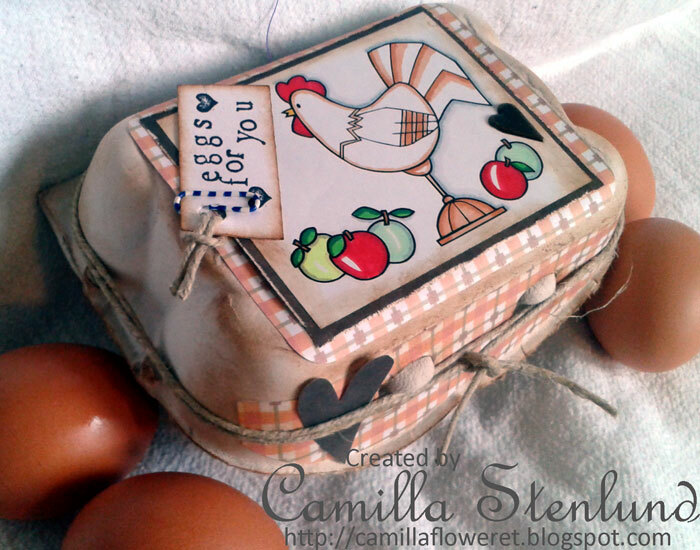 Great idea to make this as a label for your egg box! Pretty coloring and border design. 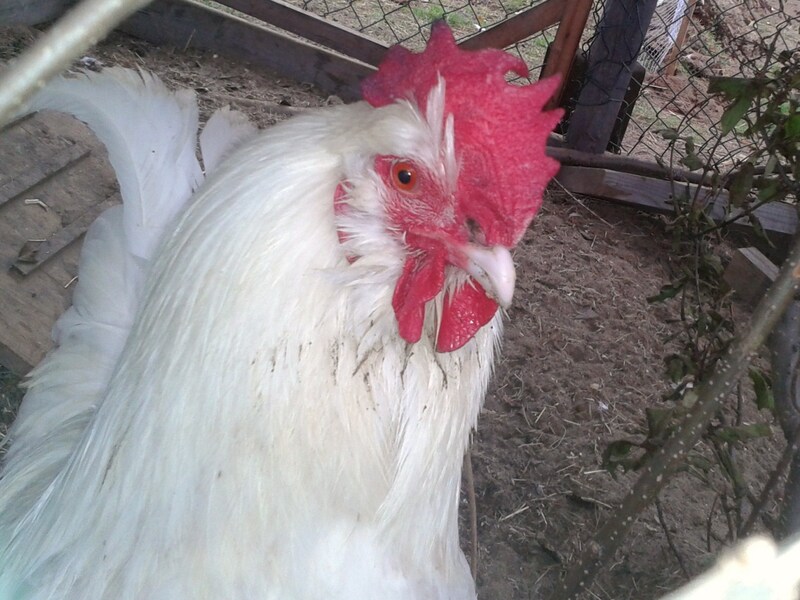 Your photo of your rooster is the perfect compliment to this post. Love how you colored the image! Its so cute!! What a great craft idea! Great card, I love your colorin~g! What a clever idea, Camilla! I love your projects! Awesome way to use this digi! 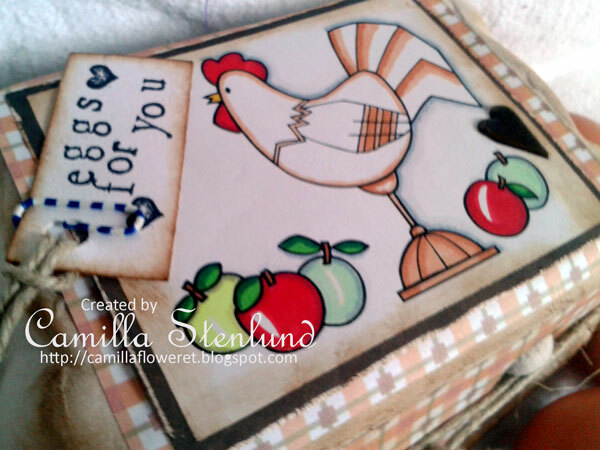 What a sweet project you have made Camilla! I love your rooster (the real one)!